I wasn’t intending on writing this review for some time. 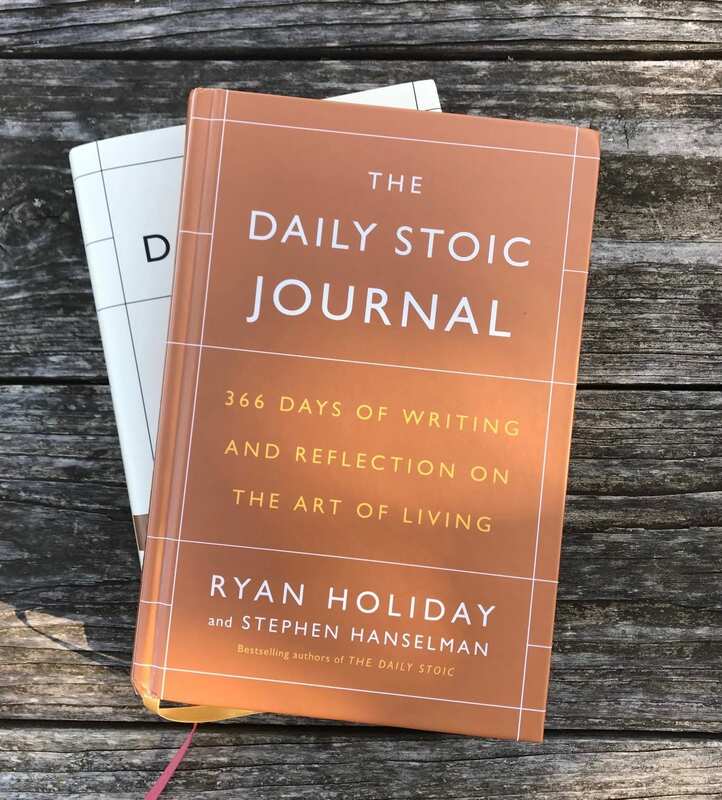 My plan was to read the Daily Stoic reader, and use the journal for the better part of a year before making a review. I’m most of the way through January, however, and I believe I have enough of a feel for the two books to review them adequately. I liked that the journal meshed with the daily reader, that’s a nice touch. The journal is three prompts and a short space to write what you’d like related broadly to the reading for the day. It was a little disappointing that each day is mostly just a re-hash of the previous days. I was expecting some else, but it is what it is. For the Daily Reader itself, I cannot any longer recommend it. I had previously described some of these style books as fine introductions, the shallow end of the Stoic swimming pool. However, in reading through the Daily Reader, there are recurring … misinterpretations of core Stoic doctrines. Most of these are fine business practices and mindsets for the self-help go-getter. But Stoic positions, they ain’t. I’ll be removing the Daily Stoic from my list of Stoic Books, which wasn’t something I was really ever imagining I’d do. I don’t wish the author any ill well, or anything like that. But it seems to me as if when his work adopted the Daily Stoic brand, it jumped a shark. These works are not Stoic works, they are business oriented self-help and mindset training programs. As such, I do not recommend them to the practicing Stoic. I’ve love to hear your analysis of some examples of problematic passages. I’ll go back through and do that over the next week. Thank you this review. I had intended on buyimg a copy but for some reason had never done it. Thank you again. The very preface of the book puts as modern stoic examples CEOs and politicians, it’s clearly a book with the goal of being something fancy for a CEO of a company to have in his office to show off. A time ago I have a exchange of words with Holiday about his “Stoic e-shop” I confront him about the irony and contradiction of the texts and what he is doing, he claimed that the coins he sells are helping people all around the world. In a word, Stoicism® by Holiday. Besides that, I found your blog just yesterday, I am enjoying. I appreciate your love for the great Hadot. I share your feelings for the reader (and subsequently the journal). I also understood that they were the “shallower” end of Stoicism. But getting into the material, I couldn’t understand why it wasn’t messing with my studies and why the Daily Stoic materials just weren’t making sense to me. I think you’ve hit the issue: the passages are misinterpreted, and the writing doesn’t jive with Stoic principles. It’s a bit of a shame, but thankfully there are other materials out there. Thanks for sharing your opinion.